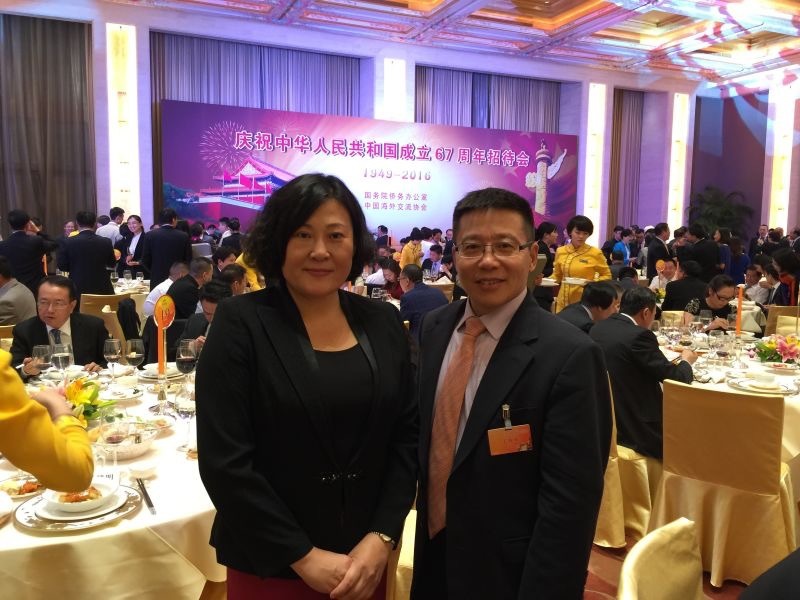 Dr. Charlie Wang, President of the CAFE UK invited as council member of Overseas Chinese Exchange Association to attend the National Day Celebration Activities organized by the State Council of the People’s Republic of China. 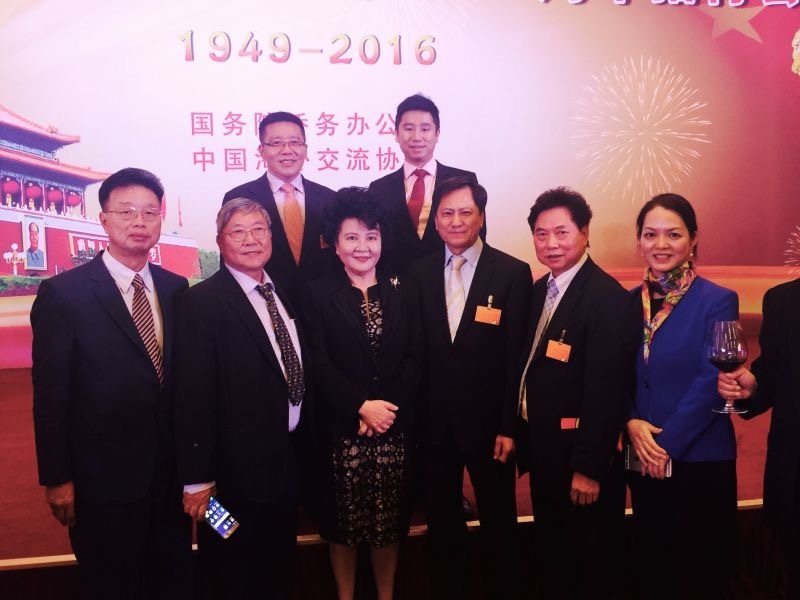 The General Office of the CPPCC National Committee,United Front Work Department of the CPC，Overseas Chinese Affairs Office of the State Council, Hong Kong and Macao Affairs Office of the State Council, Taiwan Affairs Office of the State Council jointly hosted the National Holiday celebrations at the Great Hall of the People on 28 September 2016. 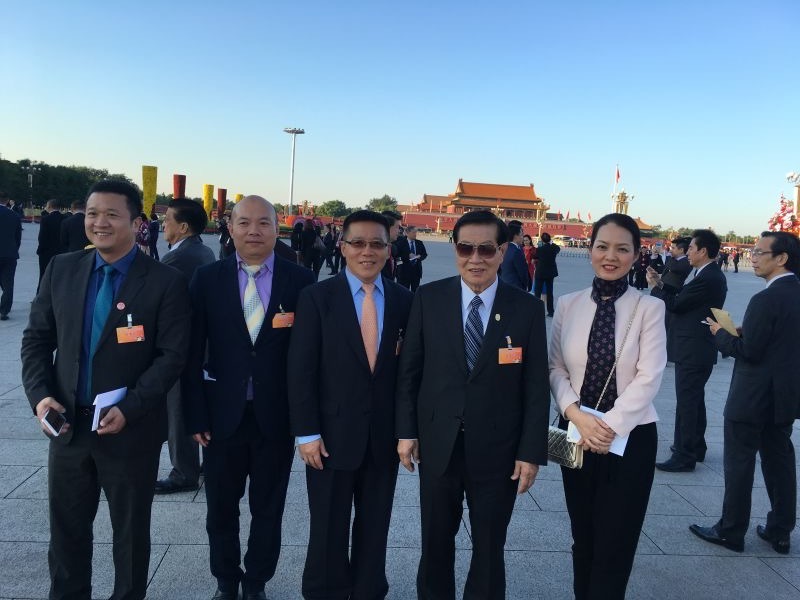 Yunshan Liu, Standing Committee member of the CPPCC and Secretariat of the CPC Central Committee attended the celebrations for PRC’s 67th anniversary together with 2,800 or so overseas Chinese representatives. 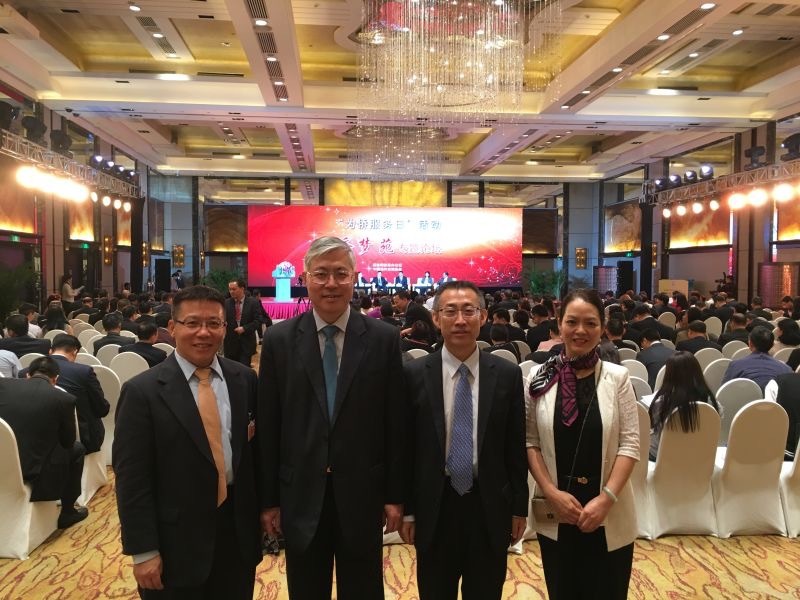 On 29th September, Overseas Chinese Affairs Office of the State Council and China Overseas Exchange Association organised a separate celebration with more than 600 overseas Chinese at Diaoyutai State Guest House. Yuanpin Qiu, Director of Overseas Chinese Affairs Office of the State Council made a speech in the event. She stressed that Overseas Chinese Affairs Office of the State Council will always be “the place that overseas Chinese can resort to”, and it is with that spirit the Overseas Chinese Affairs Office of the State Council will serve the overseas Chinese people. Yuanpin Qiu, Director of Overseas Chinese Affairs Office of the State Council met representatives of Overseas Chinese: Charlie Wang, President of the CAFE UK; Ping Huang, President of Zhejiang UK Association, Zhuting Deng, OBE, President of the London China Town, Wending Li, Honorary President of UK Overseas Chinese Association, Xiaojin Zhong, Vice President of UK Chinese Business Association, Yiquan Lin, Vice President of the London China Town and others. Zhiqiang Zuo, Director of Economic science and technology archives division of Overseas Chinese Affairs Office of the State Council and Hui Li, Vice Counsel at Overseas division, Overseas Chinese Affairs Office of the State Council met Dr. Charlie Wang, President of the CAFE UK, Ping Huang, President of Zhejiang UK Association. Jianmin Yu, Deputy Director of Economic science and technology archives division of Overseas Chinese Affairs Office of the State Council met Charlie Wang, President of the CAFE UK at Diaoyutai Sate Guest House.